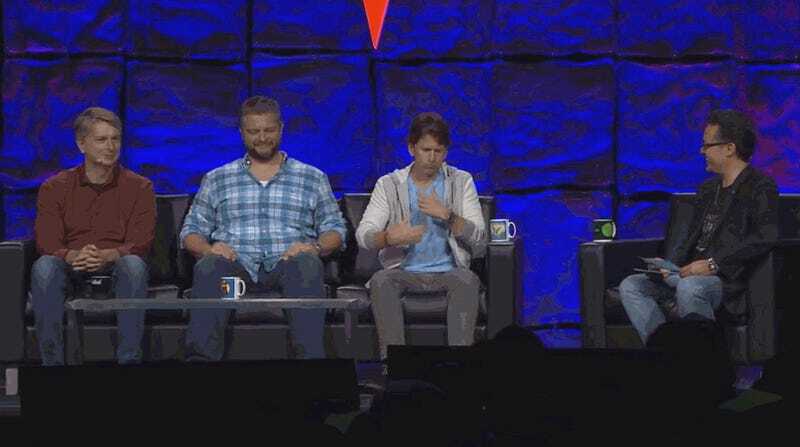 The panel was composed of Development Director Chris Mayer, Project Lead Jeff Gardiner, and Game Director Todd Howard. Split evenly between a talk about the game’s leveling system and a longform segment where the team answered common questions about the game, the panel was very informative about what the actual experience of Fallout 76 is going to be like. They showed a short Vault-Tec explainer video about leveling up and mutations followed by more elaborate explanations by Howard and Gardiner. 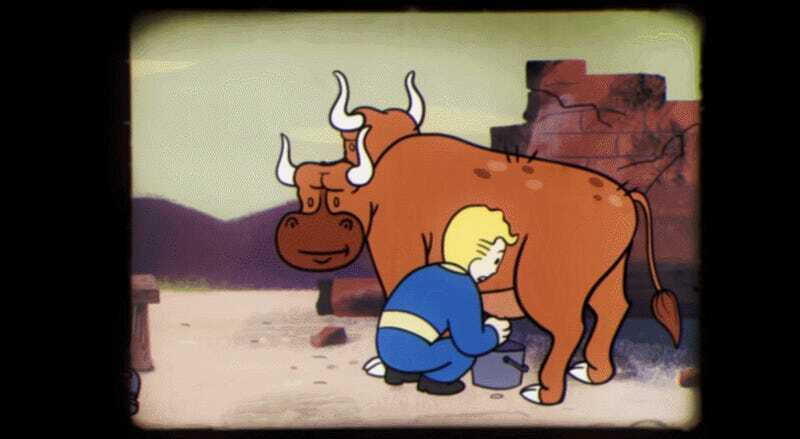 Each level up gives you a single point to dedicate to a S.P.E.C.I.A.L. stat, and for each point in a stat you can assign a certain perk. Perks are chosen from a bank of options. If that sounds confusing, well, I think it is. Watch the video above if you want the best explanation possible. PVP combat numbers are normalized between players. Howard claimed that a low-level player could fight a high-level player in power armor, although obviously it’s going to be hard and the higher level will have the advantage. 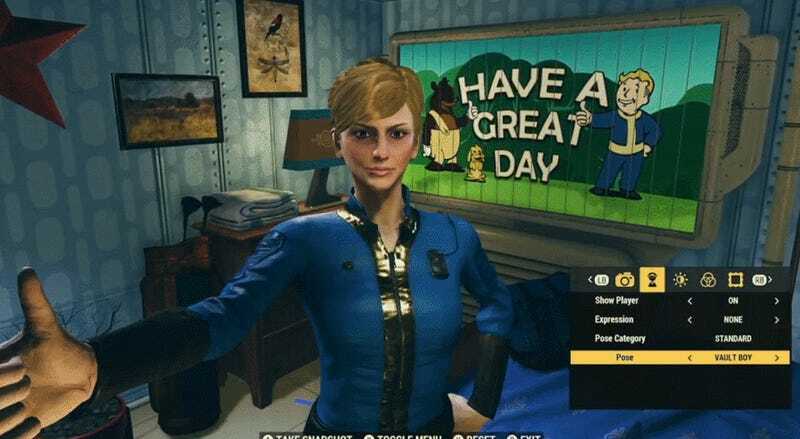 Another death thing: when you die, you have the option of respawning close to your death point or back at Vault 76 for free. You can also respawn at other locations for the cost of caps, with that cost increasing the further away from your death spot that you want to respawn. The blueprint system also allows you to easily deconstruct and relocate your camp to other places in the map. The panelists said this was a fairly common thing for people to do during internal testing.